May 18-20, 2016 in Congress Center Prouvé, Nancy, France..
Cook Campus is the first national show for professionals of the university dining, students in part-time training and trainees. More than 60 professionals will make you taste their products and share their expertise. It is also 3 days of meetings, conferences and discussions on the quality of products, producer-to-consumer schemes, the organic sector for sustainability, nutrition education, public health issues, etc. 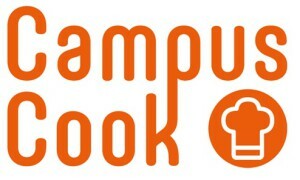 More information : Campus cook May 2016 and of the official website. A Food-truck cooking competition, only for trainees, will close the last day of the show. Candidates will have to prepare a new burger recipe.